Canon imageCLASS LBP151dw Printer Driver, Software Download. 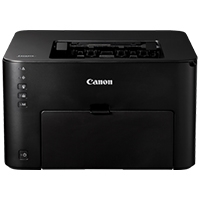 The Canon imageCLASS LBP151dw is an easy to use, wireless, single function laser printer that is an ideal solution for a small or home office environment. The compact, space saving design delivers professional quality output in one small footprint. The LBP151dw delivers exceptional black and white laser output at speeds of up to 28 pages-per-minute, with your first print in your hands in 8 seconds or less. This device supports PCL 6 and UFR II LT printer languages, allowing versatility for your printing needs. If using this driver, the [MF/LBP Network Setup Tool] can be used to configure the initial network connection settings. Download the [MF/LBP Network Setup Tool] from the Web site.